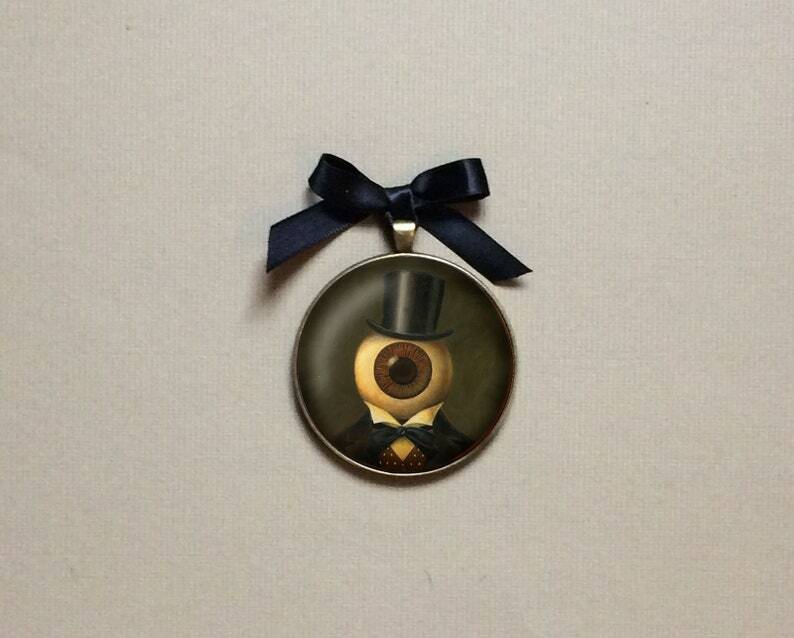 This Victorian inspired Eyeball Man portrait miniature reflects my love of early science fiction literature and 1950's monster movies. 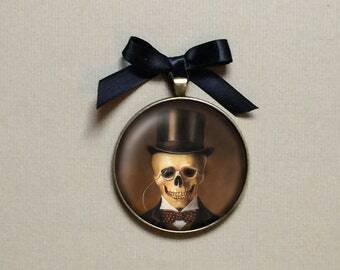 He is the perfect addition to your gallery wall of spooky art and makes a great gift for any Gothic / Steampunk lover or Victorian era aficionado. 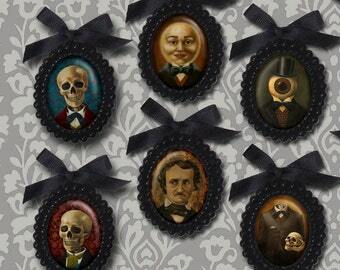 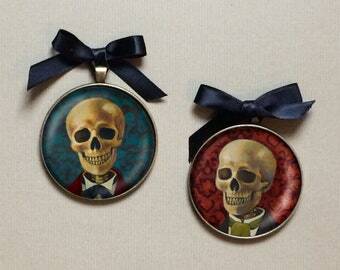 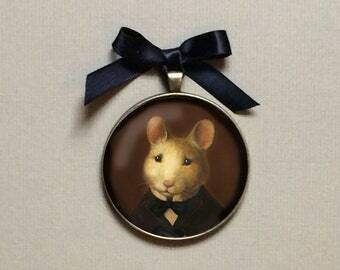 His portrait is available as a brooch, necklace, coasters, cards and prints, some links are below. 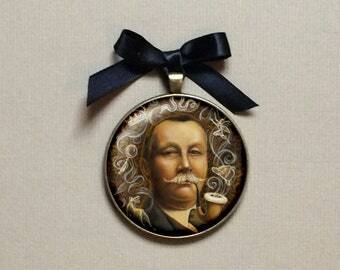 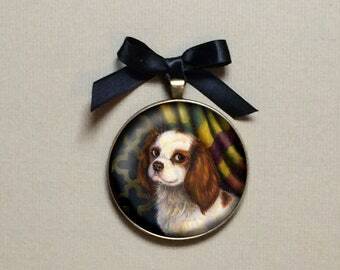 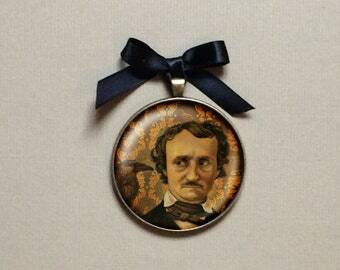 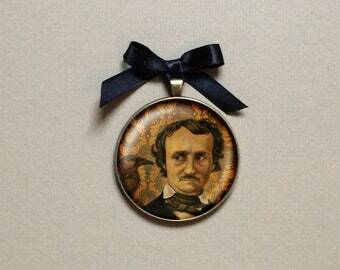 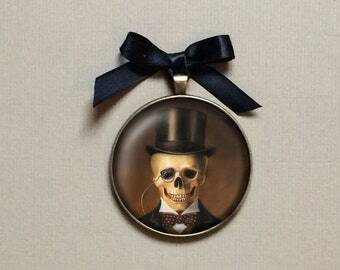 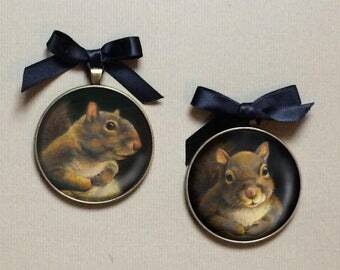 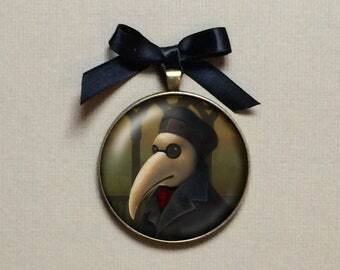 This ornament has a bronze setting, 2" in diameter with the print nestled behind a resin cabochon. 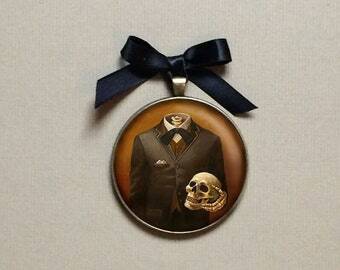 It has a black satin hanging ribbon that can be tied short for hanging directly on the wall as shown or long for the Christmas tree. 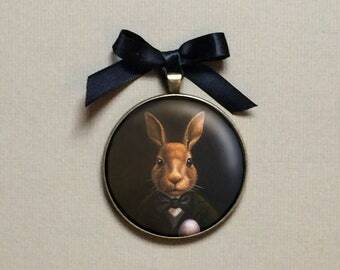 It arrives in it's own felt pouch with a satin ribbon. 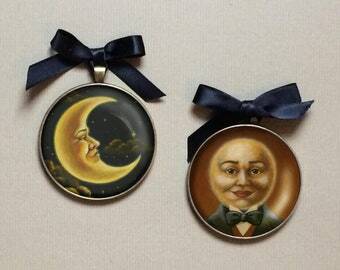 Copyright (c) 2013 Lisa Zador. Copyright is non-transferable with purchase of print and buyer is not entitled to reproduction rights.